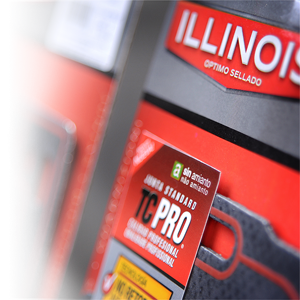 Juntas Illinois presents its line of TC PRO® cylinder head gaskets, the standard gasket of professional quality: free of asbestos, produced under the certified quality management system, with materials made in Germany and USA. Product tested according to the following international standards: SAE 921484, DIN 52913, ASTM F36 y ASTM F37. All production is realized under careful quality control throughout the entire manufacturing process. This product has the combination of last generation O.E.M. materials and maximum quality. Quality Management System ISO 9001:2008 (Nº 94012-AQ-ARG-RvA).